Well what a difference a year makes! 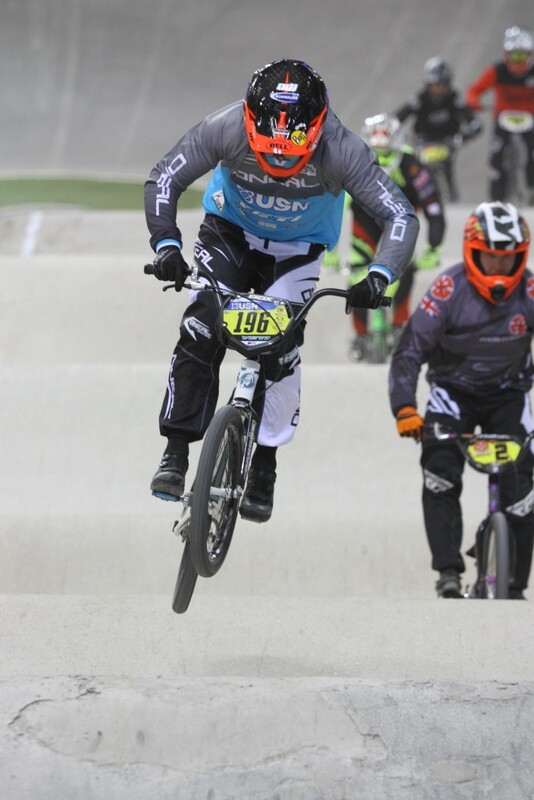 12 months ago, Scott competed at the 2015 British BMX series in Manchester and it was the last time in 2015 that he was 100% healthy. A crash just a few days after the race separated Scott’s shoulder which gave him some enforced time off the bike. In that time he began to feel some severe back pain and when the shoulder was healed, unfortunately his back was giving him agony! It turned out after multiple mri’s, doctor visits and specialists that scott had 2 prolapsed discs and they were pressing on the S1 nerve which was giving him pins and needles in his left leg 24 hours a day. As you all know scott tried to push on through the season, and miraculously achieved some amazing results. However, some serious time off the bike was needed. From the start of September until the start of January, Scott did not ride a single bike. He listened to doctors orders and worked very closely with Stefann Vossen at Core clinic in Warwick. With several sessions of Physio per week, insoles into his shoes and more scans in Warwick, Scott arrived in January and was simply let off the leash! His hunger to ride a bike again was quite overwhelming! With plenty of road rides, lots of XC mountain biking and once a week on his bmx at the national indoor BMX track in Manchester, Scott’s fitness soon returned. Scott signed a new title sponsor deal with USN also helped this process. 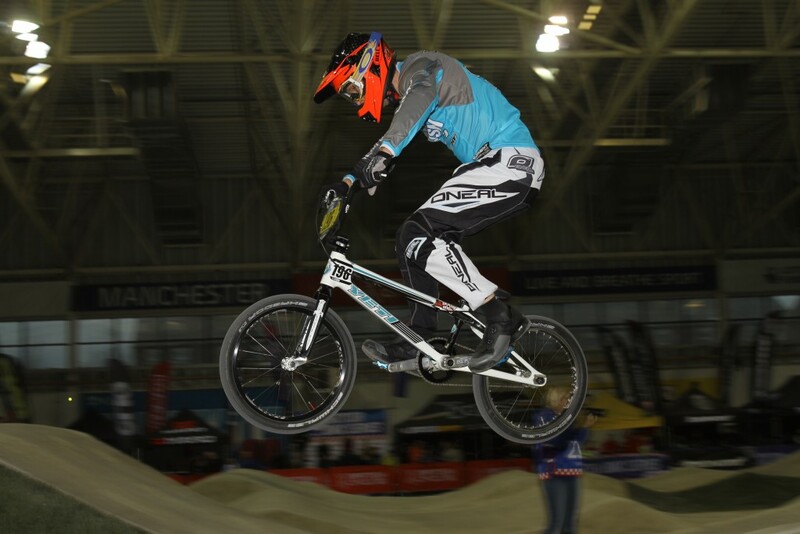 The international supplement supplier added their expertise to Scott’s pre season and on Saturday Scott returned to Manchester to compete in round 1 and 2 of the 2016 British BMX Series. Feeling fresh and 100% this was a moment the team had been waiting for during the last 12 months. All that was left was for the gate to drop and see how Scott rode. With just 3 laps of practice for all the riders, Scott was feeling good. In the racing, everything went exactly to plan. Winning all 3 of his qualifying races, he went into the semi final as the top qualifier. Choosing gate 1 in the semi final, Scott nailed a perfect start and led the race from start to finish. Sunday arrived and with 5 perfect laps on Saturday, the attention turned to could Scott make it a clean sweep. Playing it down as he always does, Scott just wanted to get back on track and have some fun. Practice again went well. Scott changed his line on the third straight and it looked like it was working well. In the qualifying races, the luck of the draw meant Scott had mainly outside gates, making it tougher. With 3 great starts again, Scott took 3 wins and qualified through as the top qualifier. In the semi final he chose gate 1. In what he called: “my best lap of the weekend” Scott really rode perfect and took the win. So it was final time. With 9 wins from 9 races, Scott wanted to make his a perfect weekend. Coming from gate 1, Scott made a great start but made a mistake on the first jump, hitting his front wheel on the upside of the landing. It jolted him and he lost some speed. Heading down the 1st straight in 3rd, it was great to Boom Boom really stretch his legs, powering his way into 1st in the 1st turn. From there onwards it was a case of riding smooth and controlled. Crossing the finish line, it was quite an emotional time. Seeing Scott riding at his best doing what he loves doing after a year of injury and uncertainty, this was the comeback to beat all comebacks. With a perfect 10 from 10 race wins, Scott heads on to rounds 3 and 4 this weekend in Birmingham which is followed next weekend by his first 4X race of the season at his favourite UK track – Afan. We want to thank all our team sponsors for all their support in the last year and for all their continued support for the next 2 years. Scott is riding better than ever and we can’t wait to see what 2016 will bring.